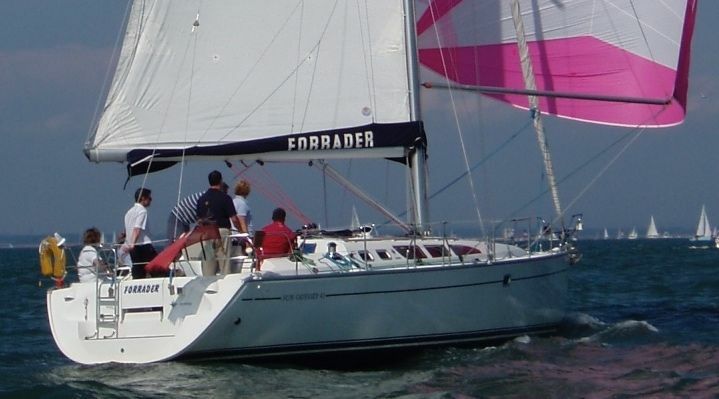 Our UK Solent based bareboat charter yachts are available for weekends, week days or longer. The normal required qualification for bareboat charters is a Day skipper practical with good miles and Yachtmaster practical for offshore sailing. Sometimes clients who have been sailing a few years without formal qualifications are permitted to charter bareboat yachts. Please feel free to contact us and send a skippering CV and logbook for clarification. You will be pleased to hear there is not much tide running through our berths (each yacht has her own so no mooring alongside another yacht and having to put out springs etc). There is ample free parking unike many Marina’s in the Solent. We are committed to a policy of offering a high quality, personalised yacht charter service at reasonable and competitive prices. Our yachts are based at Haslar Marina for easy 5 minute access to the Solent.